Sacred to the memory of Robert Brownrigg Esqr. of Norris Mount in this parish . 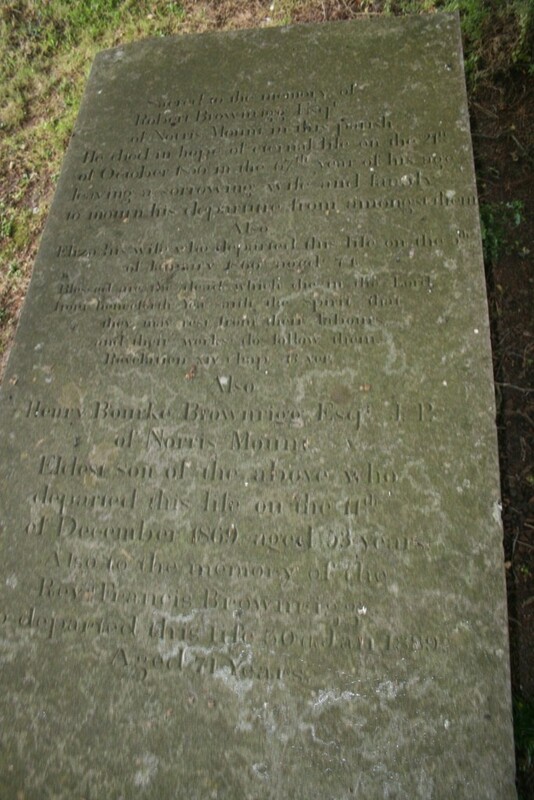 He died in hope of eternal life on the 21st of October 1856 in the 67th year of his age, leaving a sorrowing wife and family to mourn his departure from amongst them. Also Eliza his wife who departed this life on the 5th of January 1866 aged 74. Blessed are the dead which died in the lord. From henceforth yea saith the spirit that they may rest from their labours and their works do follow them. Revelation XIV Chap. 13 ver. Also Henry Bourke Brownrigg Esqr. J.P. of Norris Mount eldest son of the above who departed this life on the 11th of December 1869 aged 53 years. Also to the memory of the Revd. 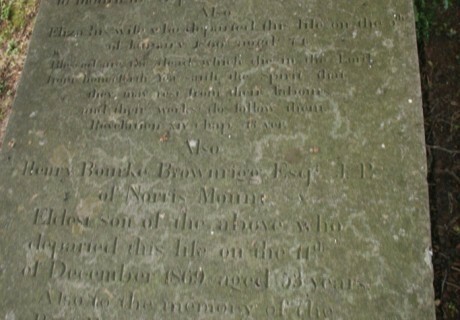 Francis Brownrigg who departed this life 30th Jan. 1889 aged 71 years.